Bleeding Heart. AP Print. 58" x 32.5"
My Little Boy. 32/70. Print. 35.5" x 27"
Emiliano Zapata and Diego Bolivar Our Grandchildren. 1997. WS. 60" x 38.5"
Born in Buenos Aires, Argentina, Mauricio Lasansky is one of the few modern artists who have limited their works almost exclusively to the graphic media. Due to his early contributions in the development of graphic techniques and his dedication to printmaking, Lasansky is considered to be a forerunner in the evolution of the graphic arts as a critical art form and has become recognized as one of the "Fathers of 20th Century American Printmaking." In 1936, at the age of twenty-two, he had already become the director of the Free Fine Arts School, in Villa Maria, Cordoba, Argentina. In 1943, Lasansky was offered the prestigious Guggenheim Fellowship in which he came to the United States and studied the print collection at the Metropolitan Museum of Art. This opportunity not only afforded him a wealth of knowledge about prints and printmakers but created an opportunity for him to be exposed to and work with a number of European masters who had fled to the United States during wartimes. By 1952, he had not only received a great deal of recognition, prizes and awards, and an impressive line of exhibitions, but also had established himself as an American citizen. During the 1940's, the interest in printmaking as a fine art was revitalized by the Works Progress Administration graphic arts workshops and many artists continued to explore the method after the WPA projects were discontinued. The most important of these studios was the New York Atelier 17 established by Stanley William Hayter. His was the first independent American workshop developed for exclusive experimentation of the intaglio process of printmaking. Through Hayter's efforts, the studio gained the attention of artists from around the country. Many of these artists are now referred to as the New York School. These artists adopted Abstract Expressionism as a means of stylistic expression and their work radically altered the course of intaglio printmaking in America. Many artists, including Lasansky, worked extensively at the Atelier 17 formulating new methods and creating new techniques for their subjects as well as their prints. Several were later invited to develop printshops in university art departments around the country. One of the first artists to accept this challenge was Mauricio Lasansky. He established the vital printmaking workshop at the University of Iowa. To this day, it serves as a model for numerous other university printmaking departments led by many of Lasansky's former students. It is the passing down of established techniques and ideologies about innovative printmaking techniques from generations of these teachers and students that marks the legacy of Atelier 17. And, it is Lasansky, one of the first generations of these printmakers, who has influenced the course of printmaking in the United States. Best known for large scale prints in which he uses multiple plates and full ranges of color, Lasansky combines a spectrum of graphic techniques including etching, drypoint, aquatint and engraving. Throughout his stylistic evolution, he has created eloquent figural statements that are colorful, fresh and spontaneous. His early and late works show that his imagery has consistently dealt with elements which have undergone change and expansion as the work was created. Therefore, the subject of his art is as important as the technical aspect of his printmaking. Lasansky's portraits appear as humanistic ideals when compared to the dehumanized figures that appear in his other prints. Many of his portraits begin in an individual format, but many times the idealized figure degenerates and is presented in graphic rather than pictorial space. He has a special regard for the spectator, as he portrays the image within the viewer's space. 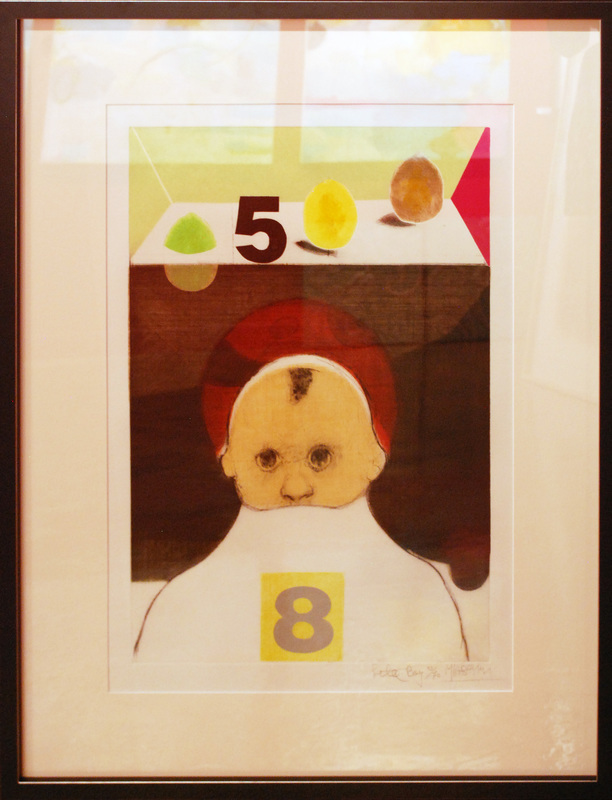 Lasansky has devoted himself to exploring the expressive possibilities of graphic arts. He has amassed a body of prints considered to be some of the most powerful and impressive in contemporary art. He has contributed significantly in establishing printmaking as a meaningful and critical art form of the 20th century. And, as a result, he has become one of the first in a generation of important printmakers to teach scores of students, who in turn are teaching scores of future generations in this country. For all these reasons, he is considered to be one of the "Fathers of 20th Century American Printmaking." Lasansky has been the recipient of a total of five Guggenheim Fellowships, six honorary Doctorate of Arts degrees and numerous prizes and special honors. His work is represented in more than one hundred public collections including virtually every major museum in the United States. Internationally recognized, he has been exhibited throughout North and South America, Europe and Russia. Now retired from the University of Iowa, he continues to be an inspiration to artists for his contributions, his richly and intensely printed surfaces, and his highly personal style.